When we first started our investigation of Ancient Egypt, many of the students wanted to know where people got their food and how they lived back then. As a means to answer this question, we began reading a book that explained that the Nile river provided the Egyptian people with fertile soil each summer when it would overflow onto the banks. The people would plant seeds including wheat, barley, beans, and peas. Then they would let nature do the rest. 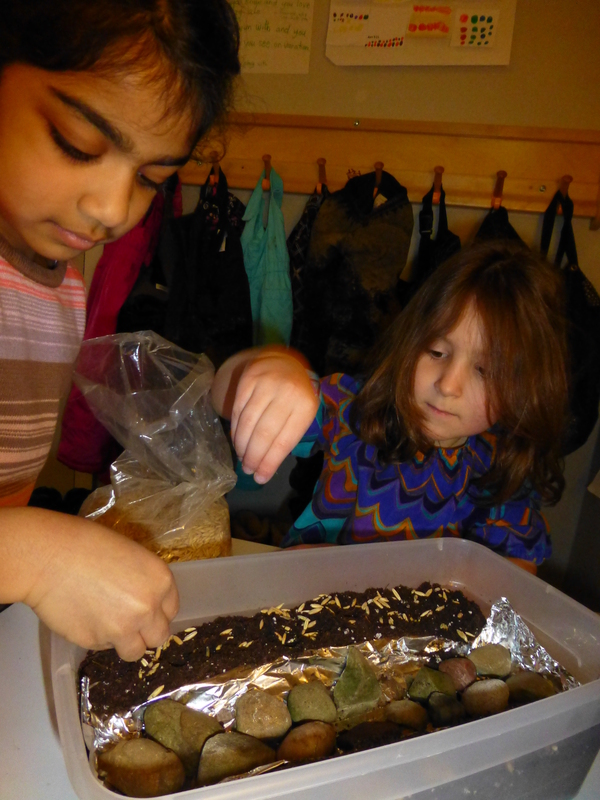 To demonstrate this, we created our own river bed out of some potting soil, foil, rocks, and lots of water! We then planted some grass seed on the river banks and proceeded to flood the river. The water spilled over the edges of the river, effectively watering the seeds. Now we wait. Hopefully by the time we return from spring break, we will begin to see some noticeable changes in our river banks.